The marijuana policy reform landscape has changed a lot since the Texas Legislature last met in 2015. While there is uncertainty at the national level with what Donald Trump may do as President, there are plenty of changes at the state and county level that we already know are happening. 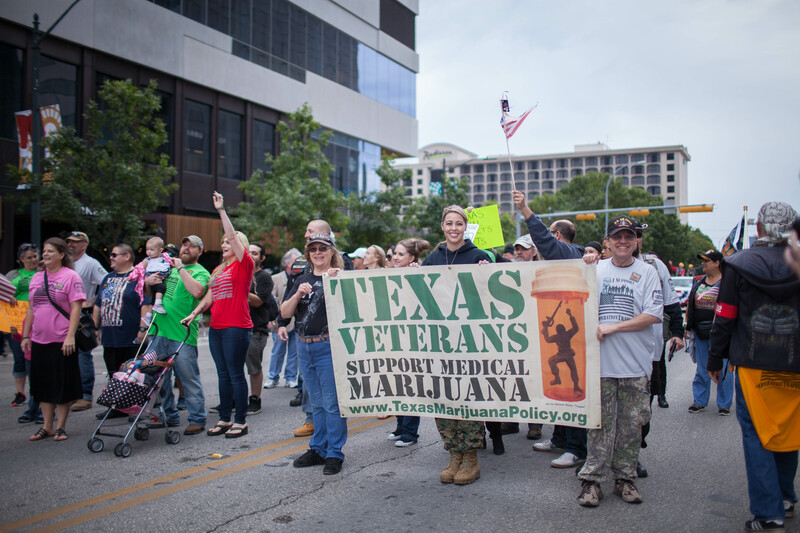 Photo courtesy of Texans for Responsible Marijuana Policy. When the Legislature passed it's first marijuana policy reform bill at the end of the 2015 session, advocates were cautiously pleased. The very limited bill allows patients with epilepsy to purchase CBD-oil (derived from the marijuana plant) to help treat their illness. However, major obstacles made the bill practically unworkable - and when DPS first started drafted rules, they made the program so expensive that it would never have launched. Things seem to have settled down. Rules for licensing fees, seed source identification, and physical security were all scaled back to at least workable measures. The program is still needlessly restrictive - and the Legislature still needs to expand who can access marijuana for medical purposes (more on that later). For now, though, the program remains on track to launch in September, when three entities should receive a license to operate a marijuana facility for medical purposes. 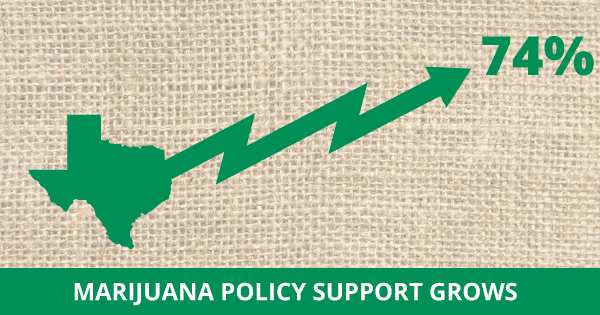 To learn more details about the Compassionate Use Act, check out this great update from our friends with Texans for Responsible Marijuana Policy. Last session, Rep. Moody's bill to end jail time for small possession of marijuana and replace it with a simple fine passed out of a Republican-led committee in the House late in the year. Throughout the interim, he's joined with advocates on expanding support before session even begins. 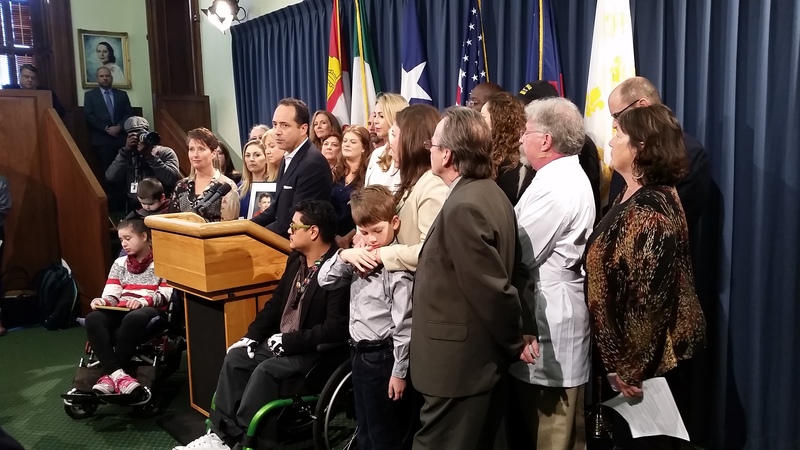 Click here to check out the full text of HB 81, the legislation. Texas Republicans are already signing onto the bill. And the Fort Worth Star-Telegram, one of the more conservative editorial pages in the state, even wrote in their support for the law that, "decriminalization for small amounts of marijuana would reduce the strain on state jails and court systems." Rep. Moody is hopeful that the bill will pass much quicker out of committee this time, giving it a chance to pass on the House floor earlier in the year. At that point, it'd be up to the Texas Senate to pass it and Gov. Greg Abbott to sign it. There's a lot of work to be done - but it should have a fighting chance this year. PT Photo from Sen. Menendez press conference announcing his SB 269. Another area where marijuana policy reform advocates are hopeful this year is for Sen. José Menéndez and his Senate Bill 269, which would expand Texas' existing medical marijuana laws. Patients suffering from debilitating medical conditions - including cancer, veterans with PTSD, and auto-immune disorders - would be able to purchase marijuana or grow a plant for personal use. "This is a picture of Vincent," said Walker. Their journey doesn't end here. "This was as close as we got to a smile," she said. Vincent has intractable epilepsy and severe autism. His parents have been lobbying to gain more access to medical marijuana because, they say, his current medication doesn't help. "He's at the FDA maximum and his seizures are escalating," said Walker. "It's become a matter of life and death for us." More on the proposed changes in the law here from the San Antonio Express-News, or check out the original bill text at this link. In the furthest-reaching bill offered so far on marijuana policy reform, Sen. Jose Rodriguez filed a constitutional amendment that would allow Texas to regulate marijuana like alcohol - the way it's done in Colorado, Washington, and other states. You can read his bill, SJR 17, here - but overall it's very simple. Texas doesn't have ballot measures we can vote on at that ballot. But we do have constitutional amendments we can vote on. Rather than propose legislation that is overly complicated and would have to be approved by the Governor, Sen. Rodriguez is pursuing a legislative path that would let voters decide. 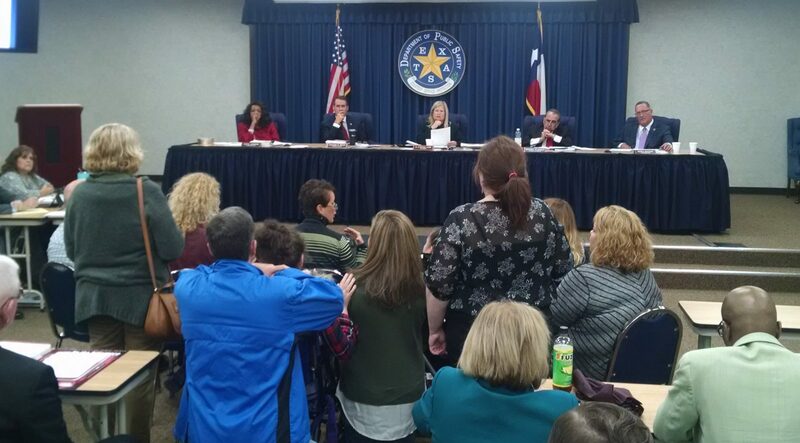 Two-thirds of the Texas House and Senate would have to agree to the change first, but the law would not require Governor Abbott's signature - and legislators could vote for the bill by simply saying, "this is an issue the people should decide." Sen. Rodriguez's bill is certainly the biggest long-shot of session. But it's the right approach for any advocates that, in the long run, want Texas to enjoy the same economic and personal freedoms of the marijuana market that other states have already embraced. PT photo from Veteran's Day parade in Austin, TX. Finally, in a good sign for Rep. Moody's legislation, there is growing support among local and county law enforcement officials to avoid prosecuting individuals for possession of small amounts of marijuana. “All misdemeanor possession of marijuana cases will be diverted around jail,” Ogg said during her comments from the podium. Meanwhile, in Arlington, an off-duty police officer made national news for having a teenager he caught with weed do 200 push-ups, instead of jail time. The story made national news as a great example of law enforcement officials taking a practical approach to marijuana policy reform.